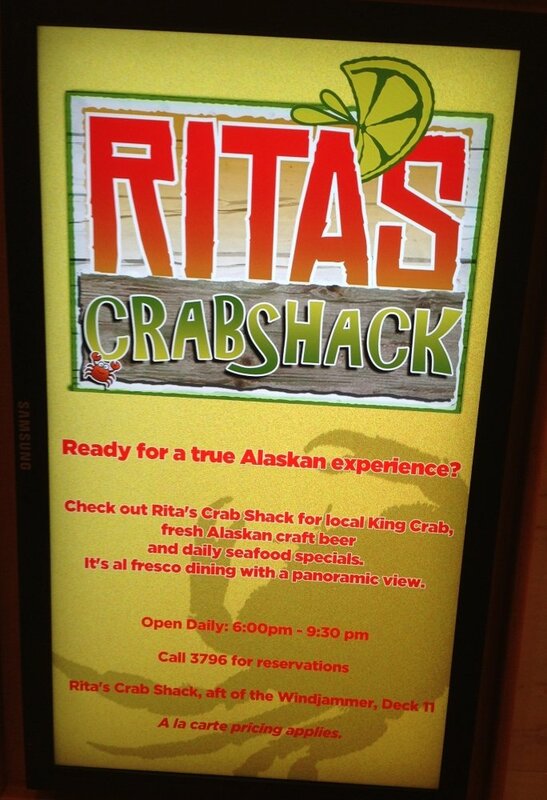 Royal Caribbean is testing coverting Mexican specialty restaurant Rita's Cantina into a new seafood restaurant called Rita's Crabshack on Radiance of the Seas during her Alaska cruise season. 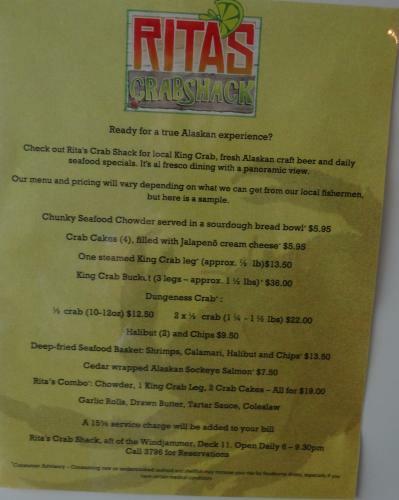 The newly converted Rita's Crabshack is located in the Windjammer area where Rita's Cantina used to be and offers guests fresh seafood such as Alaskan King crab, chowder, fish & chips and crab cakes. 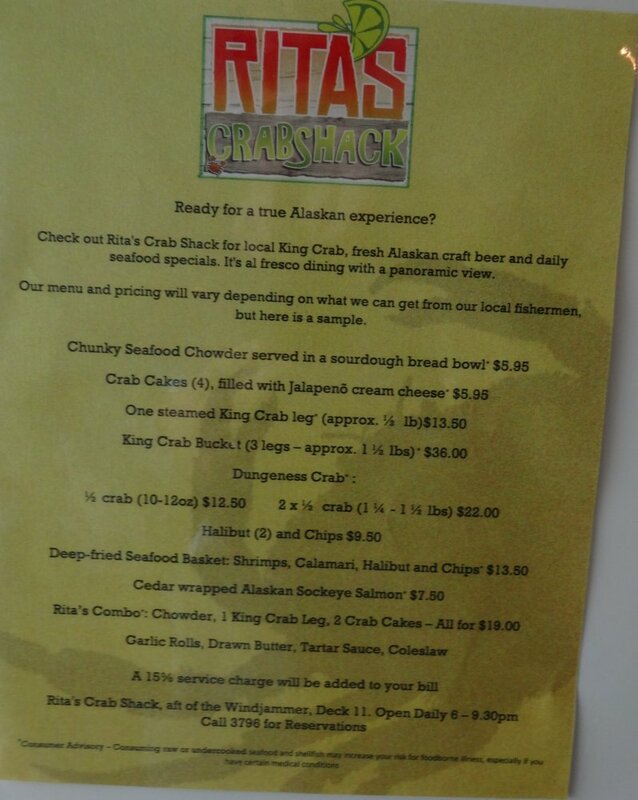 There's also Alaskan craft beer from Alaskan Brewery Company. RIta's Crabshack is open for dinner and priced a la carte.